The income tax system as we have known it for the last 20 years is about to change dramatically. From April 2018 businesses whose turnover exceeds £85,000 will be required to keep their records in a digital format and to send HMRC an electronic quarterly summary of income and expenditure. After the end of the accounting period they must also send an electronic annual summary. This will affect your accounting year which starts after on or after 6 April 2018, so if you make your accounts up to 30 April annually your first quarterly return is for the 3 months to 31st July 2018, and the summary needs to be received by HMRC by 31 August 2018. Businesses with turnover between £10,000 and £85,000 have a delayed start date of April 2019, when digital record keeping for VAT become mandatory, this is also the date landlords with rental receipts exceeding £10,000 will also be required to start keeping digital records and sending quarterly summaries to HMRC. Partnerships will make the quarterly update, rather than partners, unless they have other income to declare, but you must aggregate all business income sources to determine if you are above the £10,000 or £85,000 income thresholds. At present a rental or trading business with profits below £10,000 will be exempt from MTD and quarterly updates and will, along with employees who have investment income exceeding the 0% rates make returns via a personal tax account. 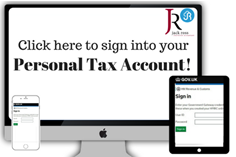 A link to view your own personal tax account is included in all Jack Ross email footers. We will be partaking in the trial for MTD starting soon, if you might be interested in being involved please let us know by calling us on 0800 020 9542. This entry was posted in Making Tax Digital and tagged Accountants, Making Tax Digital, Manchester, MTD, VAT. Bookmark the permalink.